Not many people know this...but Jon has been partnering with educational organisations since 1990 when he ran the HNC course in Graphic Design at Loughborough University Arts Faculty. Since then, he has been regularly lecturing students and setting 'real' projects for them to complete. 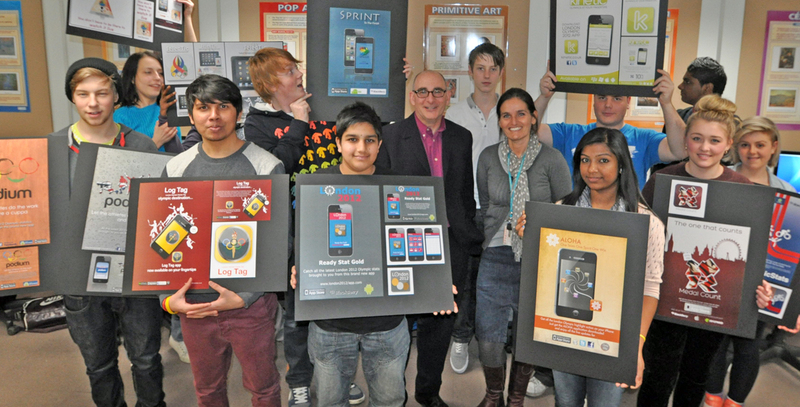 Most recently at Leicester College he set a project to create some posters for a new App to be used at the Olympics. This year the students all passed with flying colours. The photo shows the second year students with their work and course leader Kate Drew. Jon is the one with less hair than anyone else! If you'd like Jon to come and tell you how you can benefit from quality creative or simply want to talk graphics...just call us now on 01332 291141.